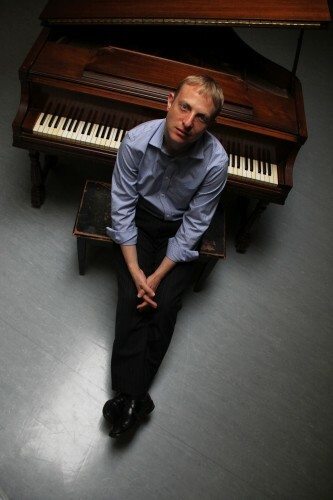 Pianist and composer Noah Hadiu did not make his first recording as a leader until he reached his late 30s. That debut - "Slipstream" (Posi-Tone Records) - introduced listeners to a musician who is technically impressive yet also has quite a melodic side. He has also recorded three albums with Native Soul, a quartet featuring Peter Brainin (saxophones), Marcus McLaurine (bass), and Steve Johns (drums). 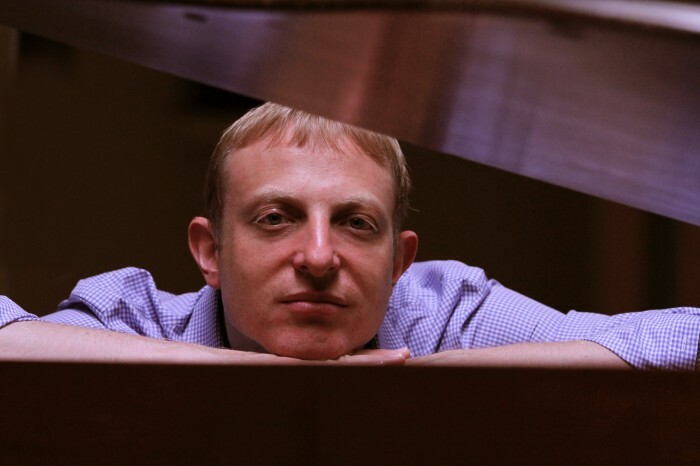 His new recording, "Infinite Distances" (Cellar Live), takes its inspiration from a quote by Rainier Maria Rilke and also from the late Kenny Kirkland's relationship with saxophonist Branford Marsalis. The Rilke quote - read it here - speaks of relationships and that one cannot really know the heart of another person. 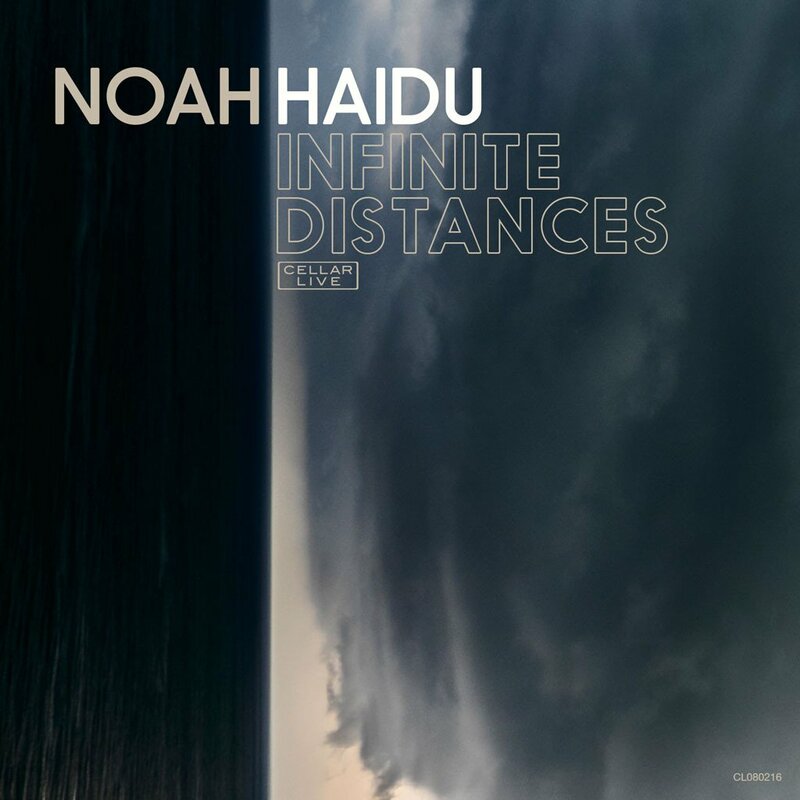 For Haidu, he views this music, and the six-part "Infinite Distances" suite, as "a musical reflection on relationships, loss, and self-realization." This recording features two groups with the major difference being the rhythm section. The first sessions feature a quintet with Sharel Cassity (alto saxophone), Jon Irabagon (tenor and soprano saxophones), Peter Brendler (bass) and Mark Ferber (drums) while the other pairs Ms. Cassity and Mr. Irabagon with the rhythm section of Ariel Alejandro de La Portilla (bass) and John Davis (drums) as well as the occasional appearance of Jeremy Pelt (trumpet and flugelhorn). The album opens with "The Subversive", a barn-burner of a piece with Brendler and Ferber laying down a torrid pace while the leader and Irabagon create blazing solos. The latter has really come into his own on soprano sax and this solo absolutely soars. The "Suite" is next; initially, one notices the strong melodic element throughout and how Haidu mixes the voices of Ms. Cassity's alto and the soprano sax, especially on the first two parts and the final section. The intelligent work of Brendler (one of the most melodic of contemporary bassists) and Ferber (splendid cymbal work) set off the piano solo and the raucous tenor solo. Parts 3 - 5 include the lovely ballad "Hanaya" (Pelt's flugelhorn really helps to fill out the melody and harmony parts), "This Great Darkness" (with Irabagon's tenor lines pushing through the fiery rhythms), and "Can We Talk", which moves slowly and has a pretty melody for Ms. Cassity's alto. The piano solo is opens up in a delicate fashion but soon picks up power. The final section, "Guardian of Solitude", is another powerful piece, with a rousing piano solo and a fascinating slowdown in the middle that leads into the alto solo. Listen to how the intensity ratchets up on the strength of the piano chords and driving rhythm section. The last four tracks on the program include a new version of the title track of Haidu's "Momentum" (whose rapid pace lives up to its name), the slinky rhythms of "They Who??" (which contains excellent solos from Pelt and the leader), and the high-powered "Juicy" (with yet another excellent soprano sax solo). Irabagon's soprano leads the way once more in the final track, "Serenity", with its handsome melody and lengthy solos. Heard Irabagon live recently (with Rudy Royston's Orion Trio), I am impressed by his singular playing on the soprano; he shines throughout this recording. As does Haidu. His solos are emotionally strong as he poured his heart and soul into this project. These compositions have deep meaning, as the musicians navigate the "infinite distances" between individual and communal work, as they attempt to understand the music, their relationships to each other, and the importance of working together. Creative music is "about" many things but, for me, the best recordings and live dates are filled with intimate conversations, melodies that stay in your ears and mind, and interactions built upon trust, shared knowledge, and the freedom to explore. 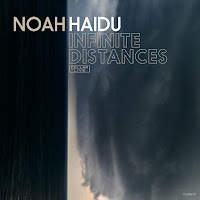 All that and more is evident on "Infinite Distances" - Noah Haidu has given listeners much to chew on and you will enjoy this adventure every time you dig into it. For more information, go to www.noahhaidu.com. 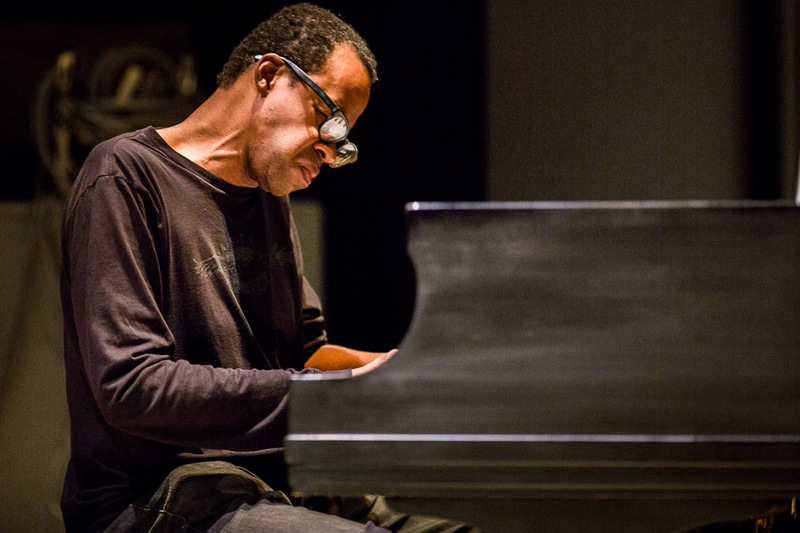 With the release of "Piano Song" (Thirsty Ear), pianist and composer Matthew Shipp announces his sabbatical from recording (he has a few projects to finish) but not from performing. He has been incredibly prolific and consistent for nearly three decades, both as a leader and band member (his excellent work with the late David S. Ware and continuing relationship with saxophonist Ivo Perelman). The new album features his Trio - bassist Michael Bisio and drummer Newman Taylor Baker - a comfortable yet challenging rhythm section that finds its way through Shipp's compositions by not playing it safe but with a sense of inquisitiveness. It would be easy to write that this is one of the pianist's most reflective collection with songs such as "Silence Of" and "Void of Sea" with plenty of breathing room as well as the several piano solos - the opening track, "Links", is short (1:48) yet reminds the listener how Shipp can create a song that sounds like poetry. If you listen closely to the Trio performances, you hear how the composer makes these pieces conversations and not solo after solo. Bassist Bisio, who possesses a big tone and a melodic heart, is not only supportive but also creates intelligent counterpoint. Listen to "Cosmopolitan", with its bass line suggestive of Miles Davis's "So What", and pay attention to the fact that rhythm section is an equal. There's a tinge of funk in Baker's drums at the opening of "Flying Carpet" yet the piece goes in an unexpected direction. The blend of powerful chords and forceful playing gives way to softer approaches before picking up steam again. If you have listened to Shipp's music for decades, you know how important the rhythm section is to his music. Bisio and Baker have their way on "Scrambled Brain", opening with a playful flurry of notes and tapping high-hat, the bassist leading the way into a rapid-fire walking bass line while the drummer adds asides and percussive commentary. The leader sits this piece out, allowing the duo to have great fun. And they are equal partners on pieces such as "Gravity Point", a three-way conversation that bristles with energy and, at times, ferocious swing. Then, there is the hand-held percussion that is the constant focal point of "Blue Desert", even as Bisio adds high-pitched arco bass sounds and the leader plays the chordal melody, soon moving inside the piano. The impressionistic music has a trance-like feel yet is no simple canvas, the blending of sounds moving in and out of the spectrum. The piano-drums duo "Mind Space" is an interactive joy while the quiet "Void of Sea" feels as if the trio was moving through outer space, each note or sound sustaining, floating in the sonic air, without rhythm but having a sense of direction. When you get to the title track, the final cut on the album, the music moves deliberately as if the musicians want this song to continue for a long time. 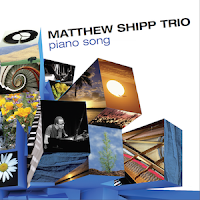 Don't look at or listen to "Piano Song" as a definitive "farewell speech" but as part of Matthew Shipp's impressive timeline. 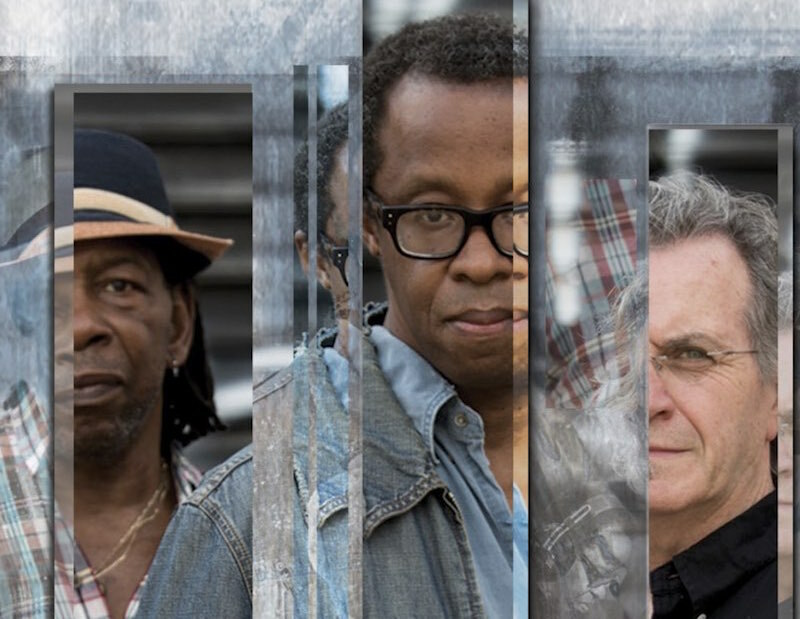 Go back to his earlier recordings, the duos with saxophonist Rob Brown or his work with guitarist/bassist Joe Morris, the David S. Ware Quartet albums as well as his creative work with Thirsty Ear's "Blue Series" - Mr. Shipp is continually searching, always maturing as a musician and composer. Don't begrudge him his time away; go and catch up on the amazing sounds he has given us to this point. The drummers name is Newman Taylor Baker as listed on the album. Thank you.